Display content specific popups to your users and gain more engagement with nominal targeting popups. 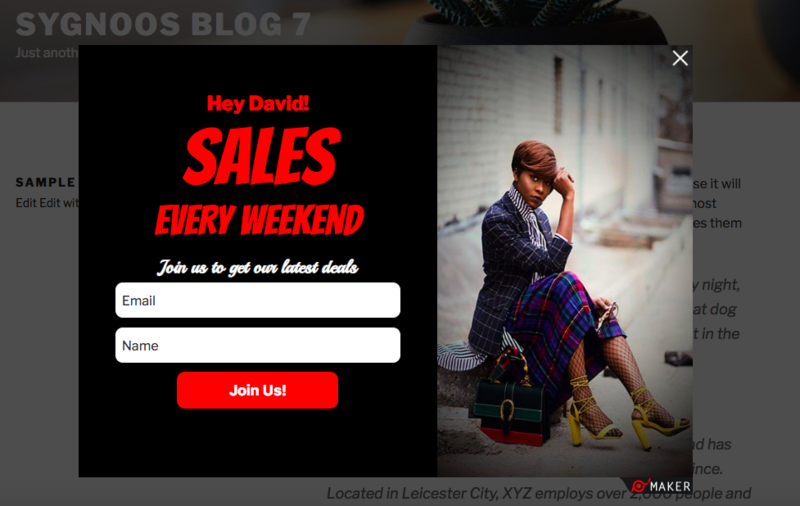 Popups that contain a Custom Variable can help you to show targetted messages to your visitors. Note: This option requires some basic HTML knowledge to configure the popup triggering. After you have built your popup, you can proceed to setting up the Custom variable option for your popup. 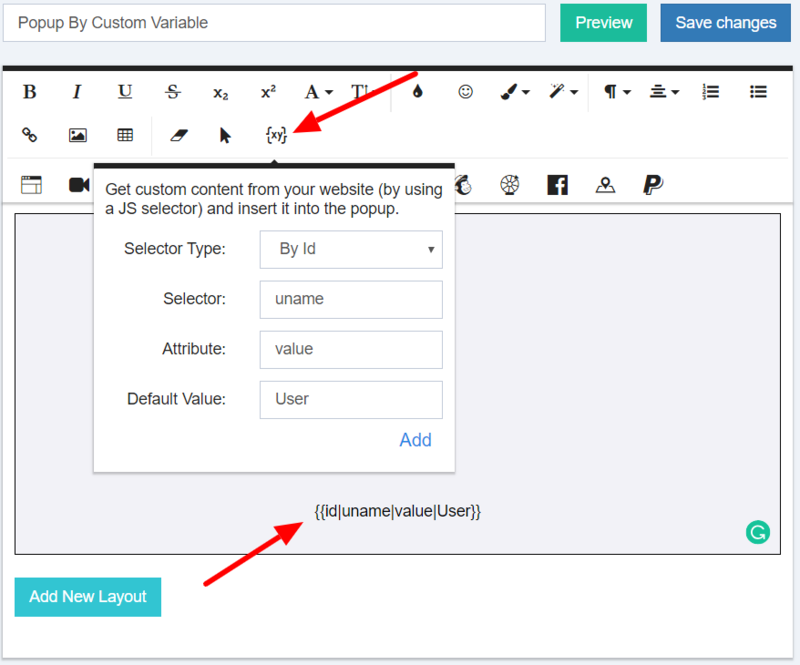 In the HTML editor of your popup, select the Custom variable option and fill in the fields for your popup targeting content. Choose the Selector type for the custom variable: By ID, By Class or Custom. Add a Selector for your popup content (e.g. uname). Enter a Default value for your popup content, in case the selector is missing.